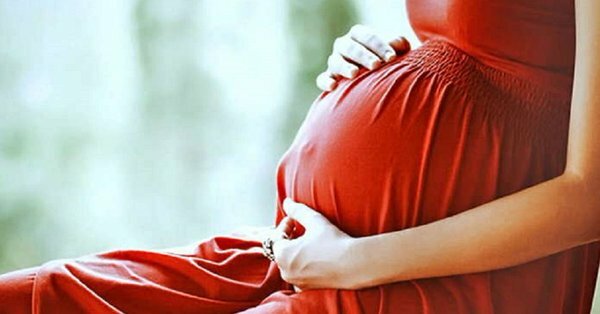 The article “Why suicide rate among pregnant women in Nepal is rising” written by BU academics was published in The Conversation last year. At the time this attracted Indian newspaper attention. Clearly it is still a relevant issue as it attracted national coverage in a Nepali newspaper this week. 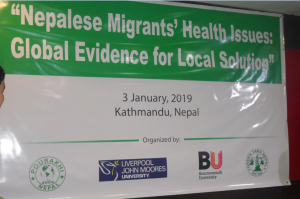 Last week we presented key findings from our various research projects on health and migration in Nepal. The research meeting was held in a hotel in central Kathmandu. More than seventy people turned up, in fact more people than had registered so the kitchen had to add to the lunch buffet at short notice. The chief guest was the Deputy Speaker of the Nepal’s Federal Parliament, Shivamaya Tumbahangphe. Dr. Tumbahangphe was the first female MP in Nepal with a PhD (in Political Sciences). She is speaking on the photo right, standing next to BU’s Dr. Bibha Simkhada. 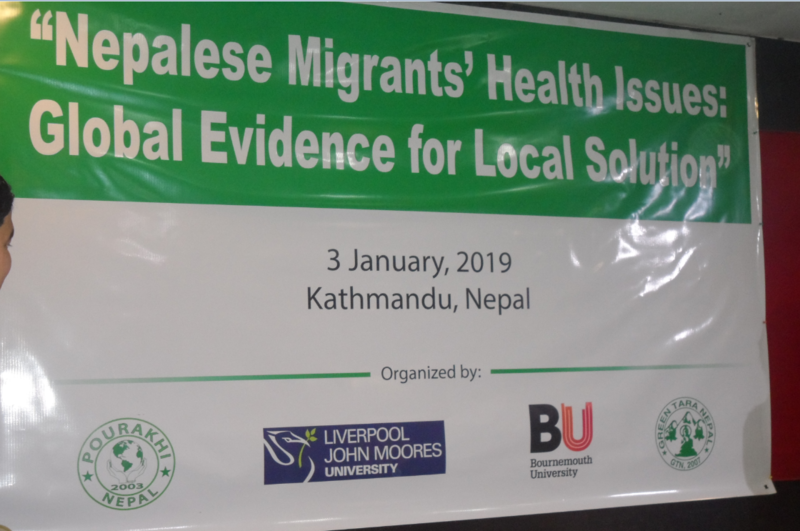 The event was organised jointly with Liverpool John Moores University, Green Tara Nepal, and POURAKHI Nepal. the latter is an organisation of women migrant workers established in 2003. It aims to ensure the rights of women migrant workers and their families in the entire process of migration. The organisation focuses its work on women migrant worker’s concerns regarding issues that arise at the different stages of migration, namely pre-employment, pre-departure, employment and post-arrival periods through support programmes. Nearly one-seventh of the world’s population is now living in a location different from the one in which they were born. Some 3.5 million Nepali are working as migrant workers in the Gulf countries, Malaysia, and India, contributing nearly one-third of the Nepal’s gross domestic product. Despite Nepal’s long history of work-related migration, the national dialogue has only recently become more prominent. Migration has become a political as well as a social issues, for example, we see migration mentioned in the national media on a daily basis. Our meeting was reported on TV and in an English-language newspaper The Himalayan Times on January 6th (to read article click here!). 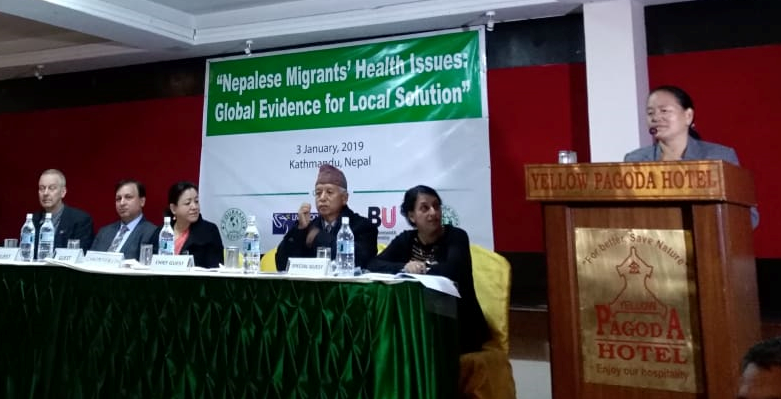 The BU team comprises: Dr Pramod Regmi (FHSS Lecturer in International Health), Dr. Nirmal Aryal (Post-doctoral Research Fellow), Dr. Bibha Simkhada (FHSS Lecturer in Nursing), and in the Centre for Midwifery, Maternal & Perinatal Health (CMMPH) Dr. Catherine Angell and Prof. Edwin van Teijlingen. The team is complemented by Liverpool John Moores University’s Prof. Padam Simkhada (who is also Visiting Professor at BU), Dr. Pratik Adhikary (BU graduate based at Green Tara Nepal) and colleagues at Datta Meghe Institute of Medical Sciences, India.